Over the weekend I ran into Adam, a former Kennedy HS and AP Lang student. Sounds like he’s doing impressive things at Iowa State University these days, which is no surprise to anyone who knows him. But the reason I’m posting here about him is that he was blogging this year for Cyclone Life, a student organization at ISU. 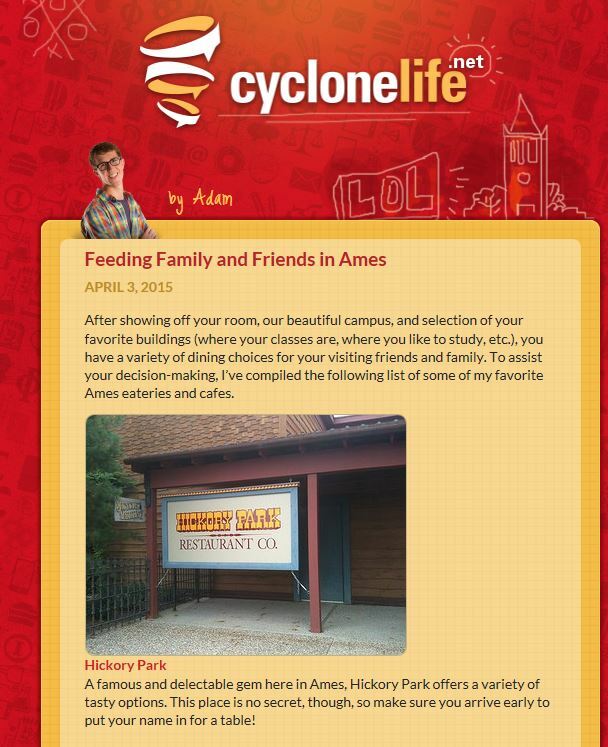 Among other things, now I know where I should eat the next time I’m in Ames. Thanks for sharing, Adam, and keep up the good work! a caption for your image, including whose image it is. 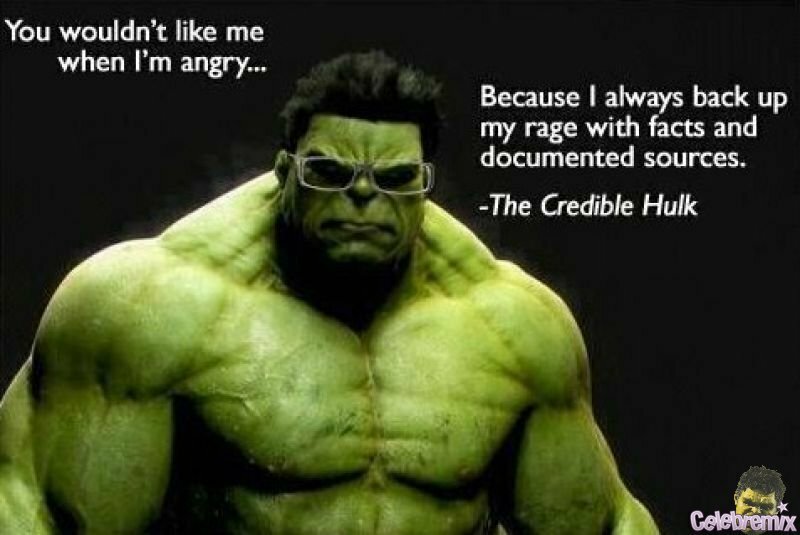 Remember that you’ll also have to include a Works Cited page. The formatting guidelines for those are here, if you’re using MLA. An example of what it looks like is here. 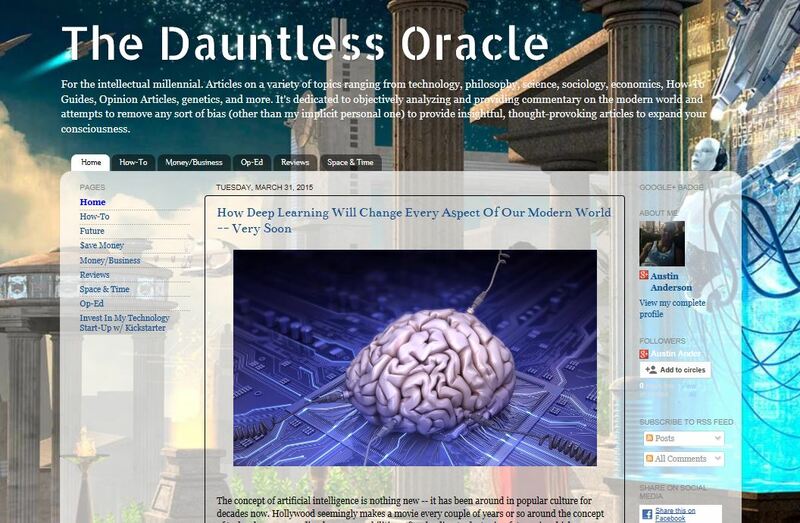 Recently, former student Austin Anderson e-mailed me to say hello, and to let me know about a new blog he started, called The Dauntless Oracle. On it, he writes about a range of topics, but all of them seem to be around the intersection of technology and culture. Those of you who are writing about those might want to go check it out. Nice work, Austin! 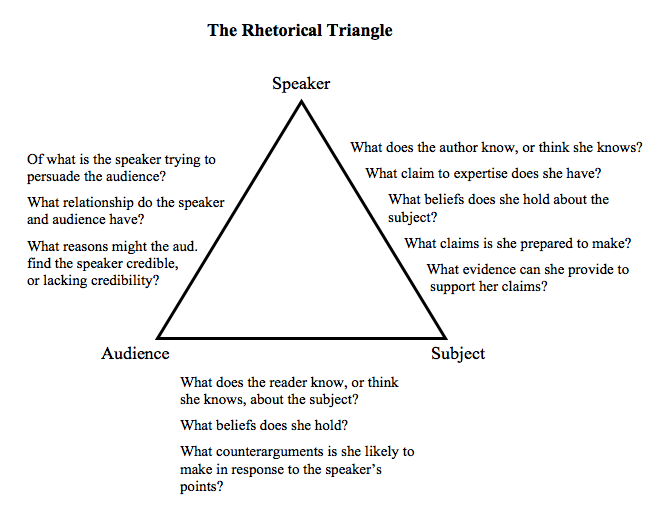 For future reference, some questions to ask when you’re beginning a piece of rhetorical analysis. Watch the video. Then I’ll have a few words about this after the jump.